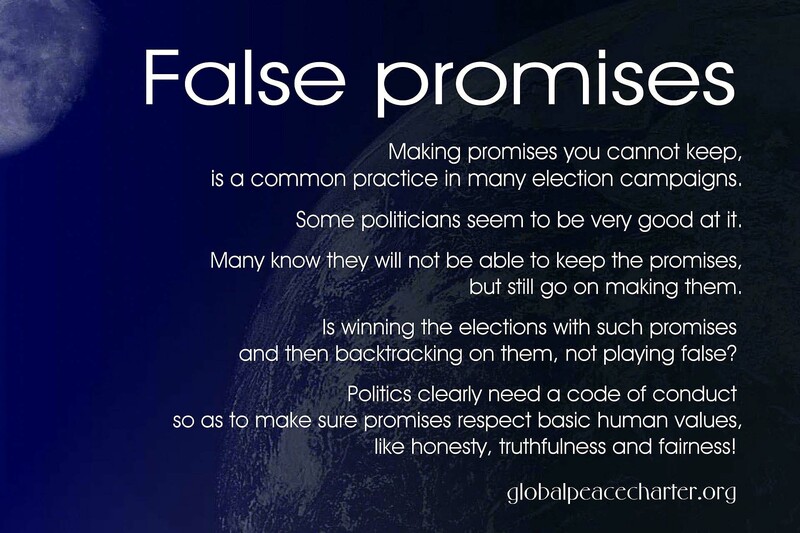 Making promises you cannot keep, is a common practice in many election campaigns. Some politicians seem to be very good at it. Many know they will not be able to keep the promises, but still go on making them. Is winning the elections with such promises and then backtracking on them, not playing false? Politics clearly need a code of conduct so as to make sure promises respect basic human values, like honesty, truthfulness and fairness!